My goodness it has been two weeks since my last post! It has been somewhat hectic and chaotic around here. Black Cat or as he likes to put it "My Moral Compass" has been a bit of a nuisance. Despite my complaining about him nosing in and disrupting things it hasn't stopped him. 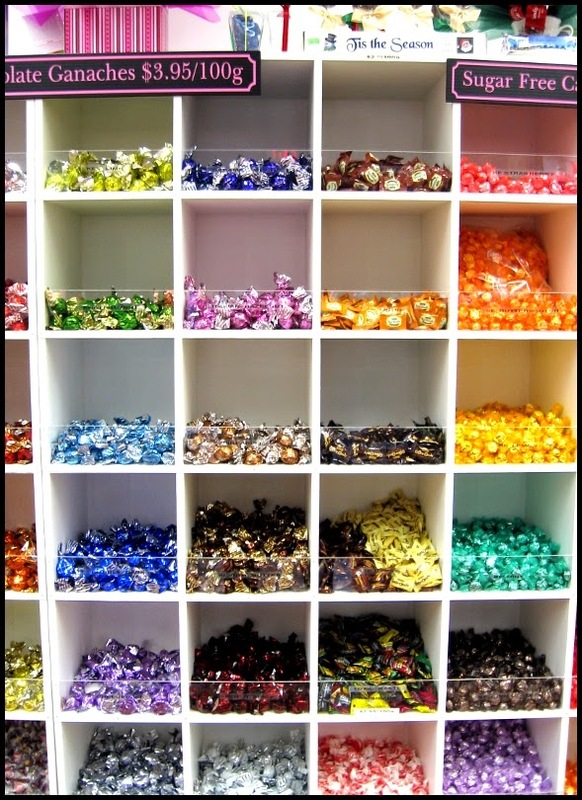 Enough of that... in August of 2009 I did a post A little tour of my brain, part 4 - candy. Here is an update. Just a minute, I think someone is at the door. I just stepped away and you see what I mean, he is typing on my blog. "B.C., I am trying to work!" He says that I have way too much stuff in my studio and that I should give it to someone that could make better use of it. The only thing is that I think that the "someone that could make better use of it" is the one that is telling me to get rid of it. 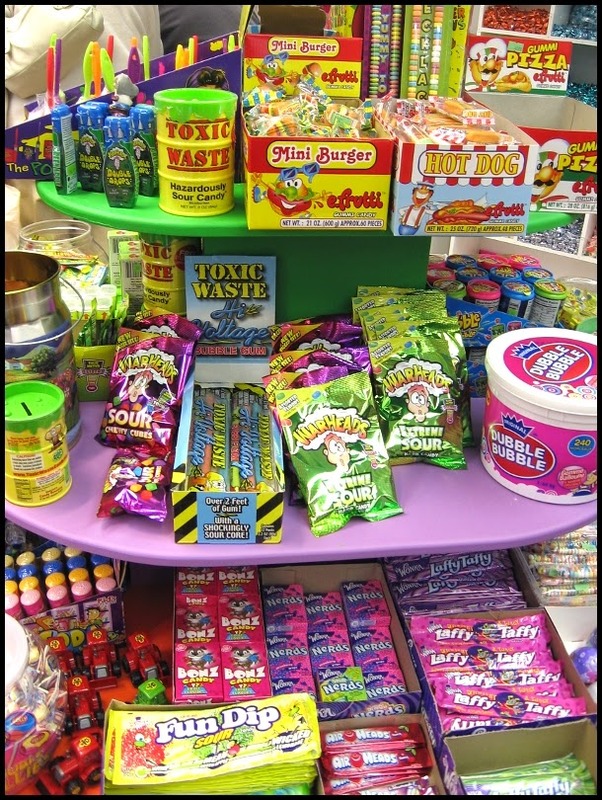 Where was I... oh, yes back in August of 2009 I did a post A little tour of my brain, part 4 - candy. Here is an update to go along with that original post. All of these photographs were taken before Christmas. This picture and the one that follows were taken at the local Chapters bookstore. 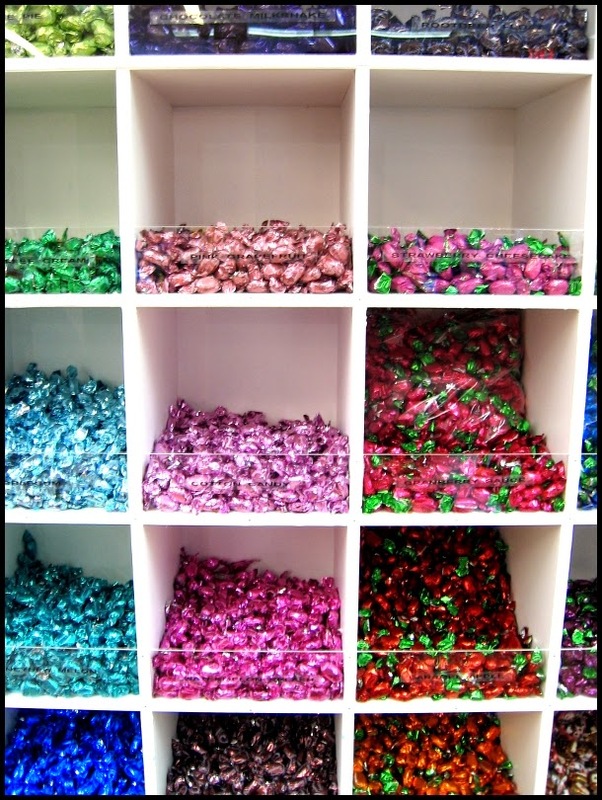 I love the close-up images of the candy. 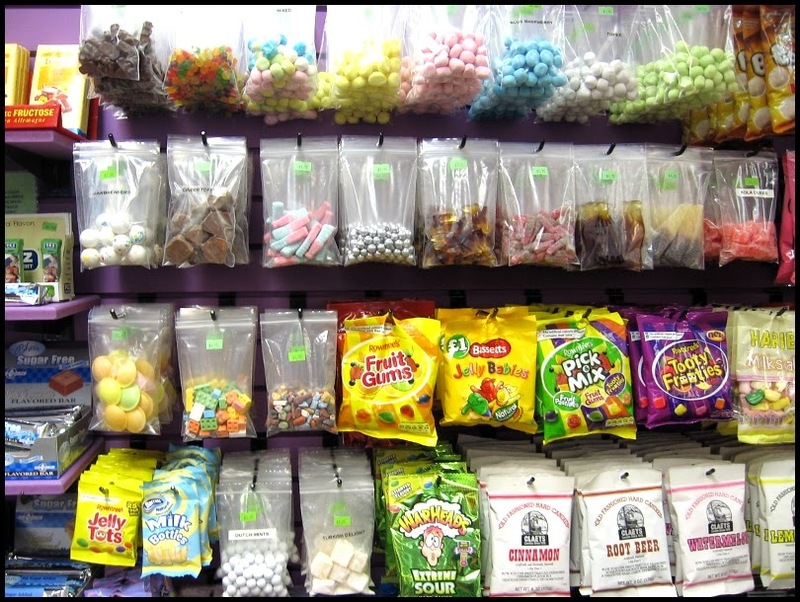 There is a new candy store at Hillside Shopping Centre called Sweet Delights. Since taking these photos they have moved to a new location in the shopping centre and are getting the store ready for a grand re-opening on January 21. The interior is looking great! 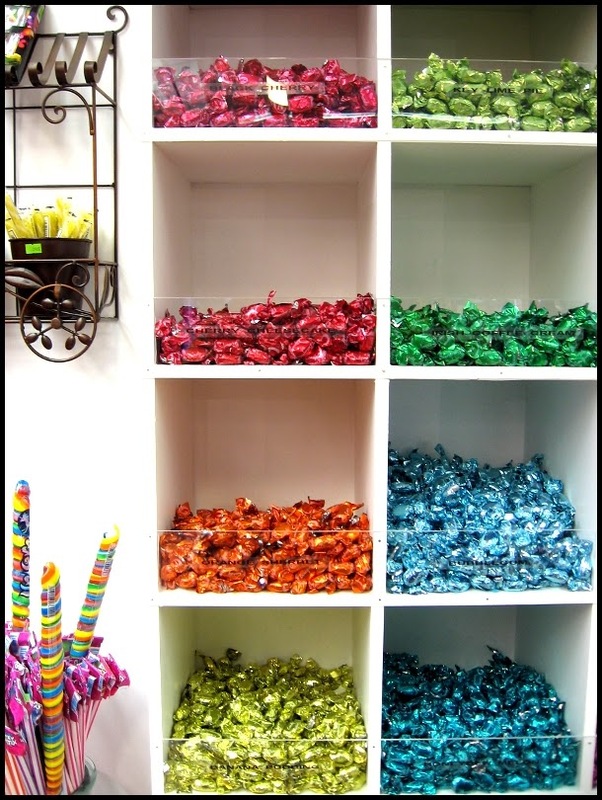 In the old store there was a back wall of wrapped candies in cubbyholes, the overall colours were lovely. There is something about bright coloured shiny things that gives me great pleasure. More shiny candies! I love the colours of those long spiral suckers. 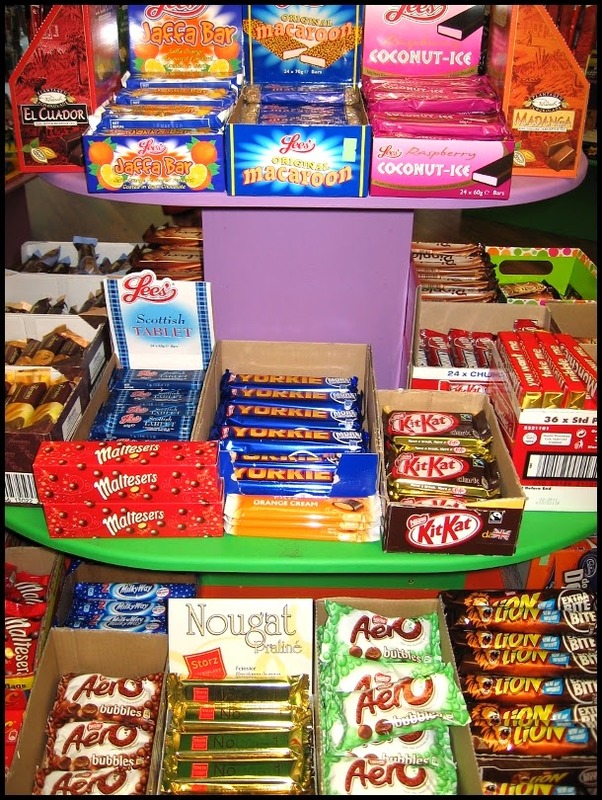 This final section of the back wall shows some of the British candies that are available in Canada. 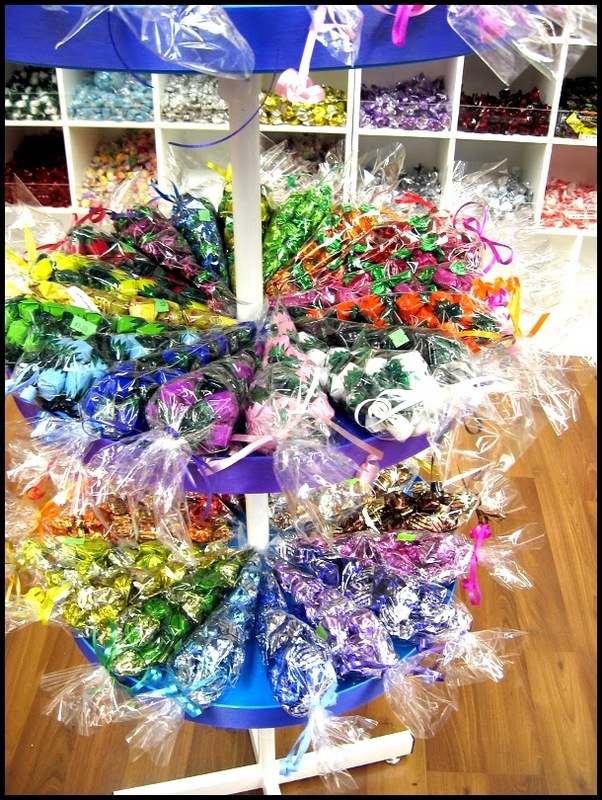 It is not just the individual cellophane cones of candies but the mix of colours that overwhelms the eyes that I find visually exciting. 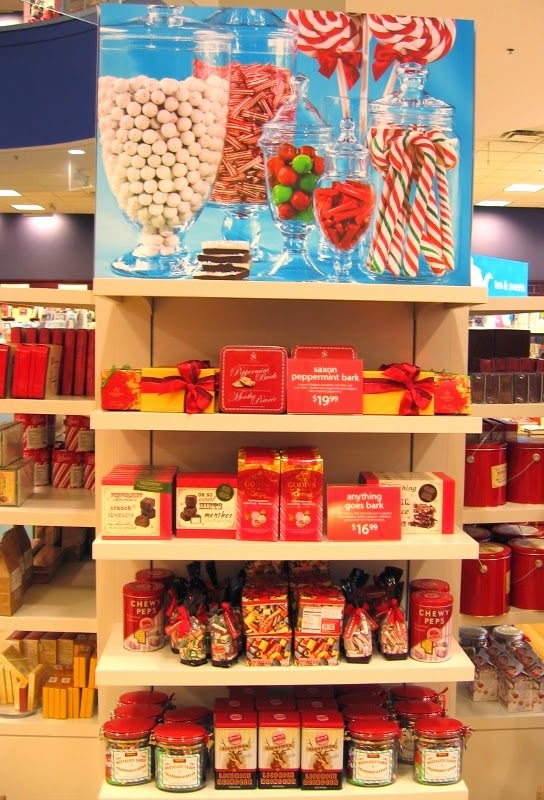 Bright saturated colour and fun graphics help to sell cheap kid's candy. 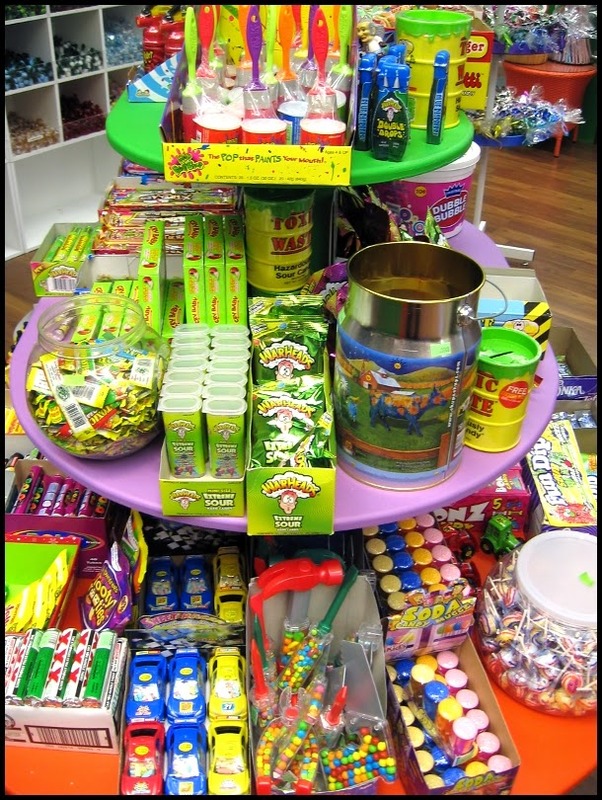 Some candy comes in a toy that can be played with after or collected and displayed. I admit that I do have some candy in toys that I have collected over the years. I will photograph them and do a post about them at some point. 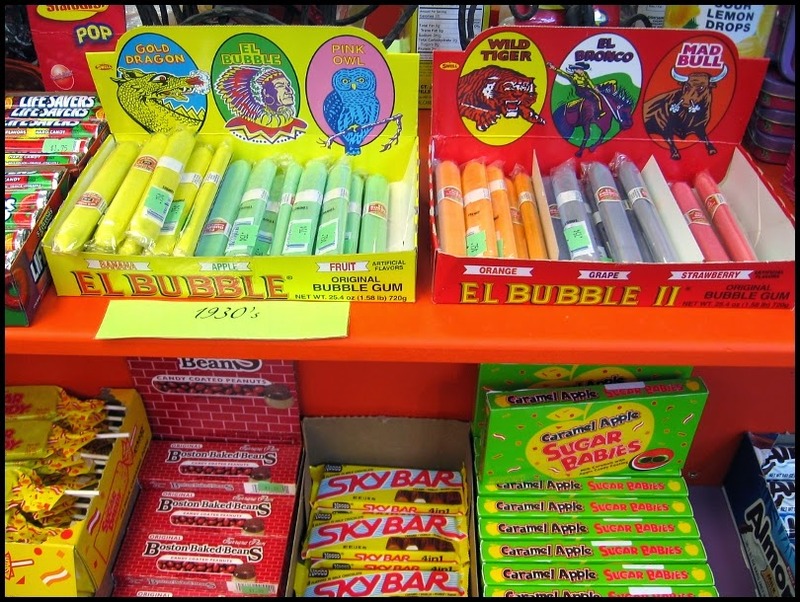 I wonder how long it will be until someone comes along and decides that it is not politically correct for young children to be eating candy cigarettes and chewing bubble gum cigars? All of the colour and all of the graphics are promises of candy Nirvana. "Black Cat would you stop that!" He is dancing about waving his arms and chanting in a a squeaky voice, "Sugar high! Sugar high! Sugar high!" 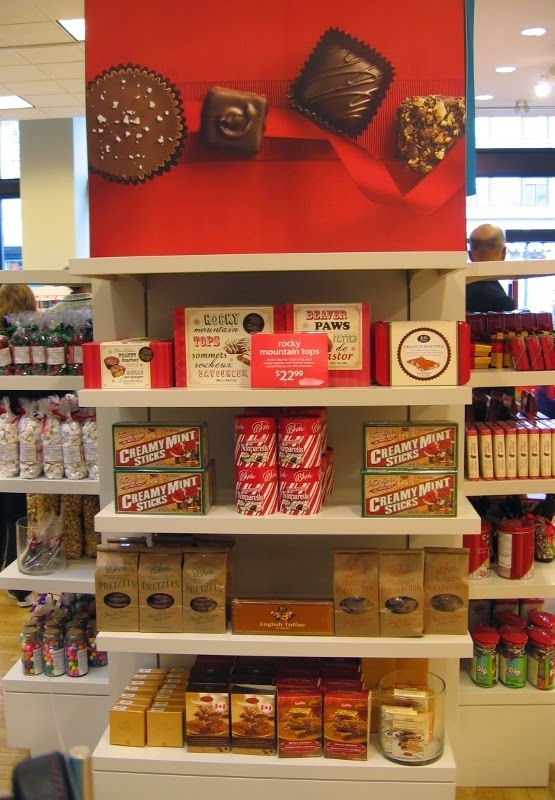 Maltesers, KitKat, Yorkie, and Areo candy bars take care of the chocolate craving. The packaging colours, the graphics, the special font created for that candy and finally the candy itself become a recognizable treat that is part of everyday life. 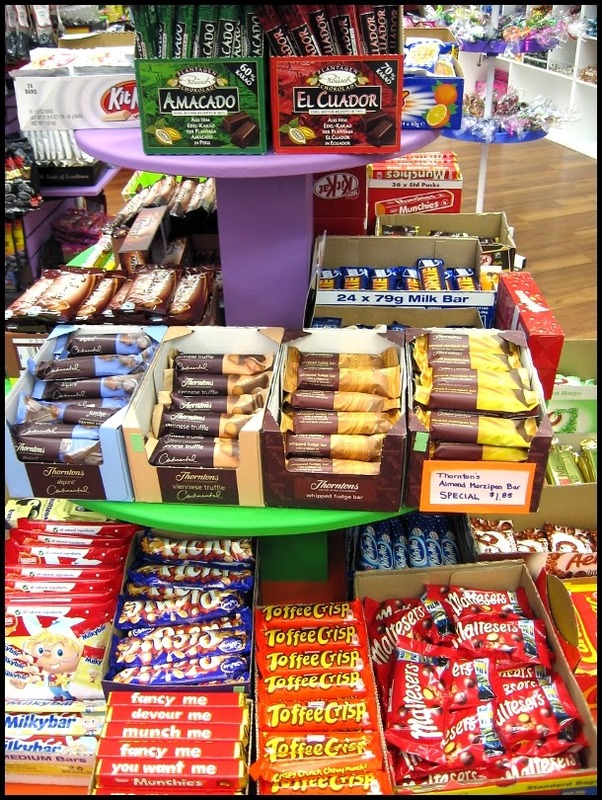 Do you have a favourite candy or candy memory? Len, what a fabulous post! 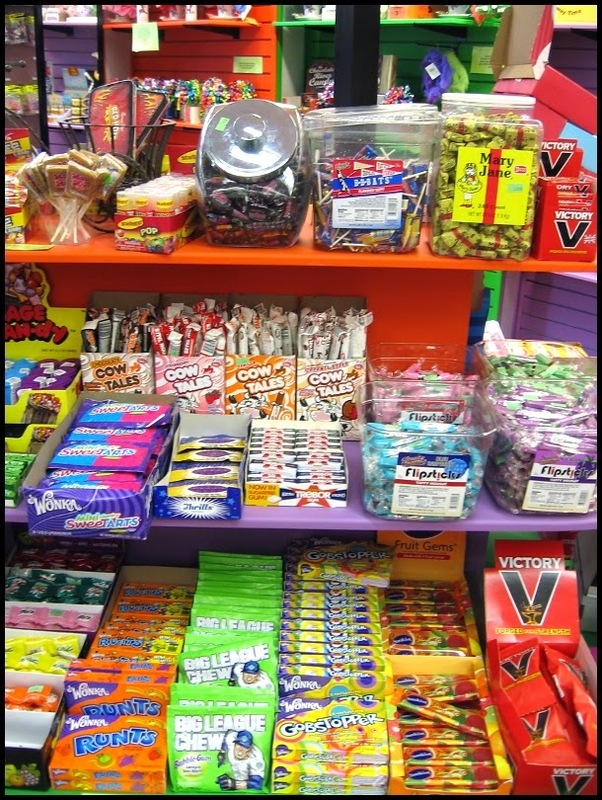 I fondly remember riding my bike to the local candy store as a youngster. 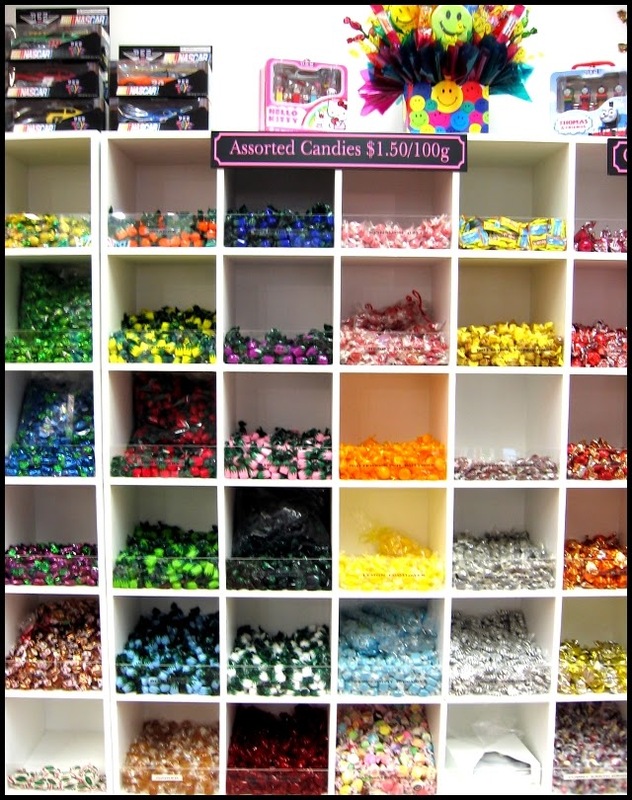 I'd park my bike outside, open the screen door, and get a glimpse of the penny candy behind the counter. Yes, that's when each piece of candy cost a penny. (At the time, I believe stamps were 8 cents, and a Hershey candy bar was 10 cents.) Those were the days. The candy bar that I remember eating was called Cuban Lunch. Chocolate with peanuts and I think raisins. The other very special treat and I do mean special because it was so expensive was Cherry Blossom. It was a single chocolate covered cherry with a liquid centre that was packaged in a small yellow and blue? cardboard box with an illustration of the treat inside. When all of the other chocolate bars were around 10 cents each this little wonder cost 75 cents! It was soooooo good. Len, you have a great blog, so nice to read other local bloggers out there! My favourite candy from childhood are gummy teeth, I always found them hilarious and would spend my week's worth of allowance on a whole bag full only to eat them and get a wicked stomach ache right after. My now go-to candy are fuzzy peaches. Can't say that I didn't learn anything from childhood because I still eat them by the handfuls. You've got candy on the brain, Len! Sounds good to me. Well, you already know my favorite candy memory. BTW - They are fake...and yes, sculpey was what I used.